Oh, and ikaw pala yan, Bam? 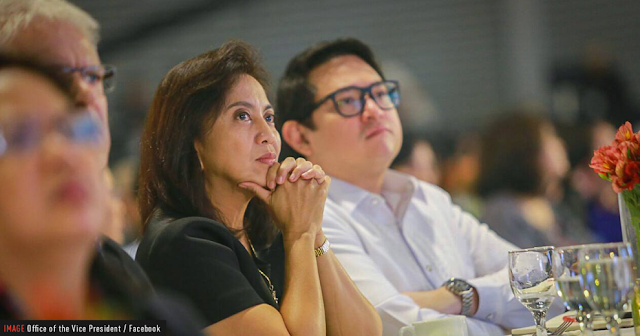 Running VP Leni's PR? Not that we want to interrupt you while you're making a mistake -- in fact a lot of mistakes, Leni Robredo as VP herself is a mistake -- but if you masterminded the trolls for Leni that have been attempting (and in some cases succeeding) to take down accounts of Pro-Duterte microbloggers, there will be payback. Wala na po yung tinatawag na short memories ng Pnoy na botante. May internet na. May Google. We will remember this, whether you like it or not. During the last elections, there were persistent rumors about a massive office in the metro employing people to amplify the noise for Bam Aquino a scheme also known as 'trolling in favor of Bam Aquino.' The rumors rightly fit the narrative on what's happening in real life. Our Facebook and Twitter feeds were pestered with fake news, propaganda materials favoring Bam Aquino and the rest of Liberal Party's line up. They might have not realized it, but LP's propaganda machine back-fired to them. Savvy Filipinos used the same tactics to vilify LP politicians and Mar Roxas took the most whipping. Memes about Roxas became extra popular as he was miserably failing to satisfy the public of his performance after being delegated as the Interior secretary. Roxas repeatedly (consistently) committed errors and blunder after blunder pestered his reign. Massacred soldiers and police members, disaster response and handling of Yolanda relief operations, Roxas was damn too weak to triumph all of those challenges. Roxas, being the poster boy of BS Aquino, was on his way to claim the Presidency. A post he viciously desires. In the 2008 elections, he and journalist Korina Sanchez got married in a widely publicized wedding ceremony. Aired live on television, massive coverage in other platforms - it was widely romanticized that many believed it was meant to uplift Roxas' chances in the upcoming elections. He sought for the Vice Presidency that time after giving in for BS Aquino - Roxas didn't win. Pre 2016 elections, Bam Aquino was one of the most internet savvy senators (if not the most savvy), so embarking on this kind of internet soldiers won't be surprising. While all of these remain rumors, judging from what transpired in the past months, these rumors seem fitting to what's happening in real life.